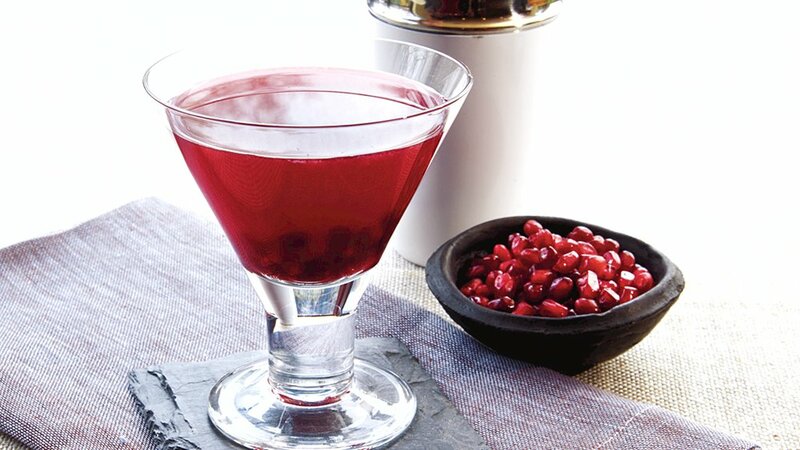 Enjoy this pomegranate cosmo – a perfect citrusy cocktail for Halloween that’s ready in just 5 minutes. 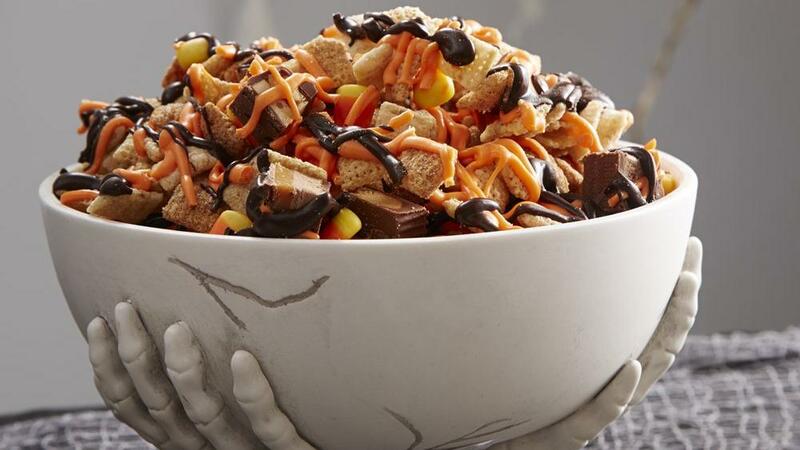 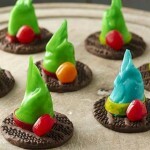 This mix is a great way to use whatever Halloween candy you have on hand. 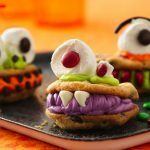 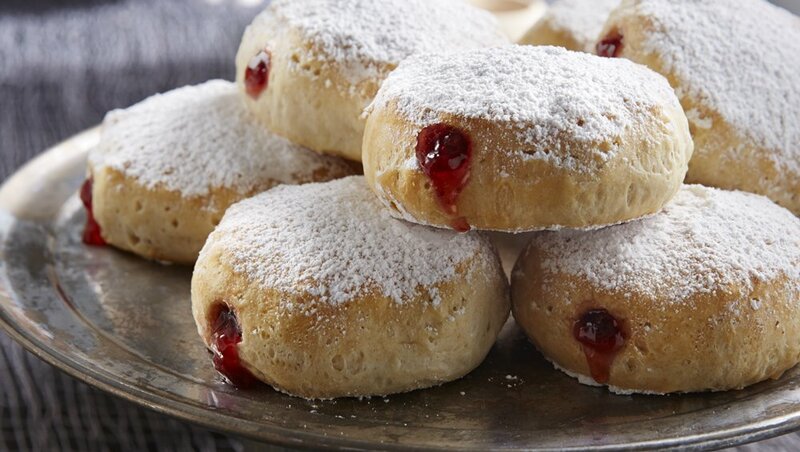 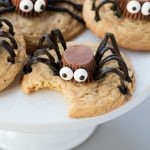 Biscuits filled with strawberry jam and coated in powdered sugar make for a spooky and tasty Halloween treat! 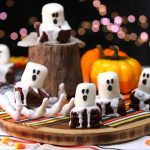 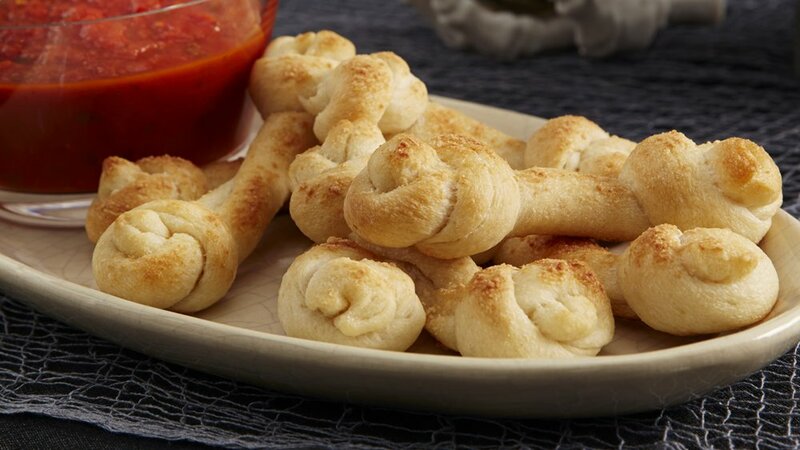 Parmesan-topped breadsticks get twisted into bones for a fun and festive Halloween treat that’s super easy to make! 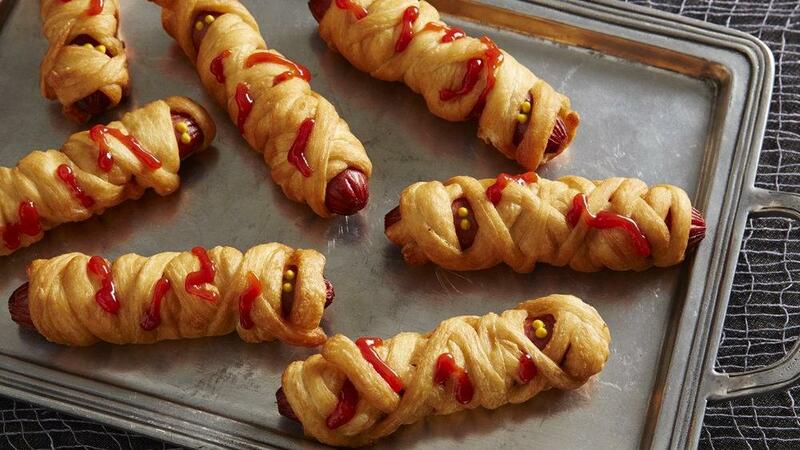 A crispy, flavorful Halloween treat! 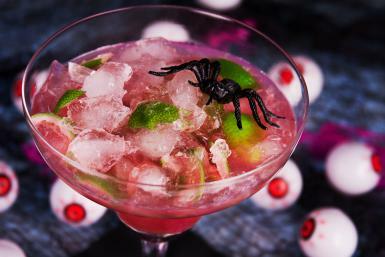 It doesn’t take much to throw a spooky bash to remember. 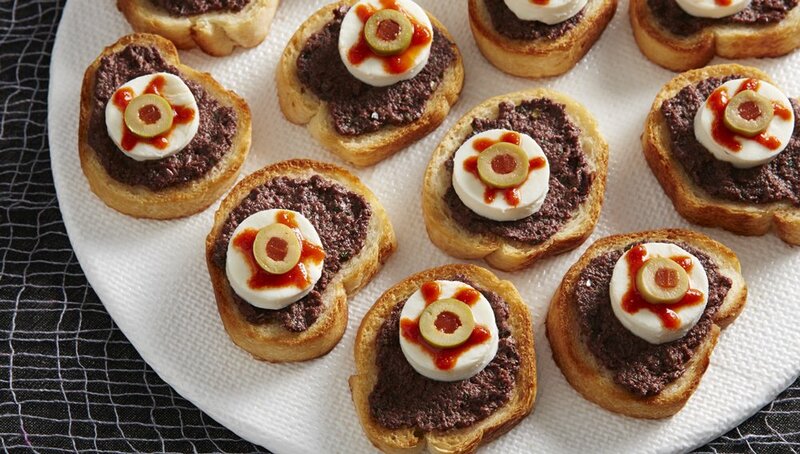 You just need to know where to start. 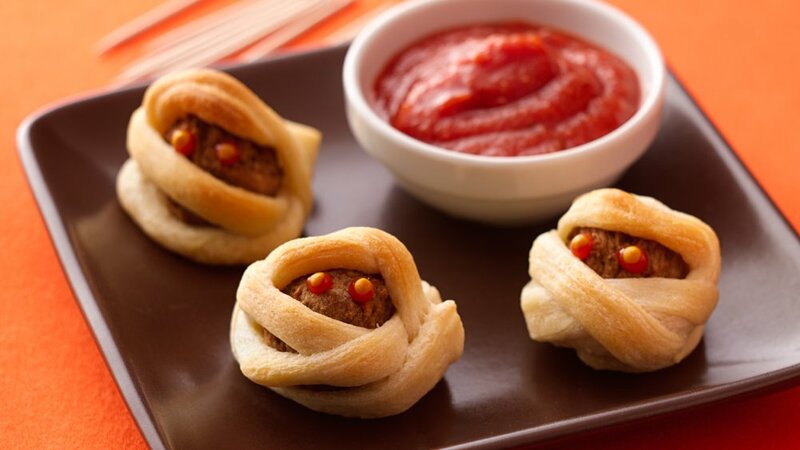 These meatball mummy bites are the perfect kid-size appetizer. 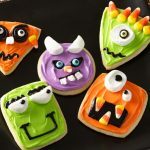 Great to serve at your next Halloween party!